Small Sanities: "I Don't Want To See You Here Again"
The last couple of weeks at work have been kinda lousy ones for me, full of setbacks, mishaps, and frustrations. Today offered a bit of a break. It began with a breakfast sponsored by the Citizens Crime Commission featuring a lecture by federal Judge Robert Katzmann. Katzmann talked about the problems faced by immigrants in the legal system, including a new program that he helped birth: the Immigrant Justice Corps. Learning more about what Katzmann is up to was fun. 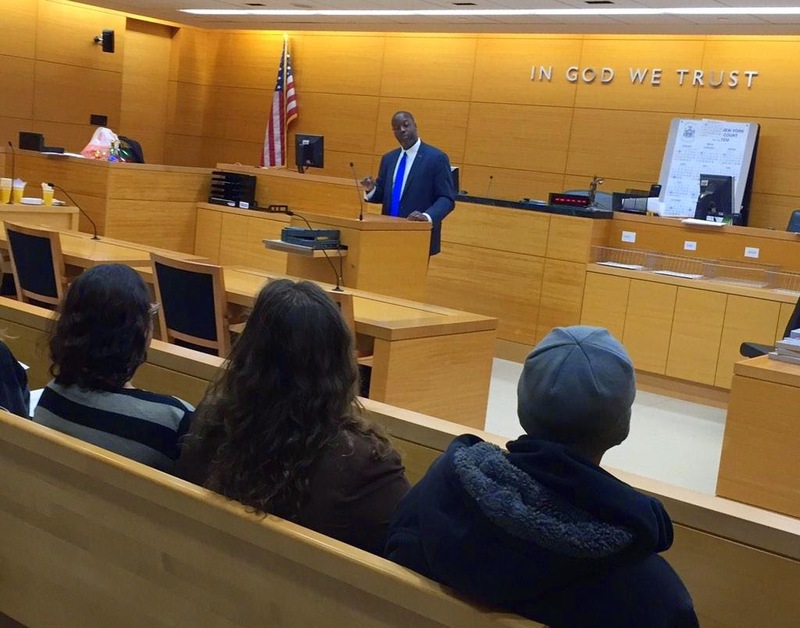 Even better was this afternoon's graduation of the Parent Support Program in Kings County Family Court. I've written about the program before, so I won't rehash it here, but it was inspiring to see the real-life impact of our efforts to rethink the child support process. A couple of dozen fathers were honored today. All had managed to reconnect to their kids and make meaningful child support payments in the process. Alan Farrell, an assistant deputy commissioner at New York City's Human Resources Administration (pictured above), offered the keynote address. But the final word of the day went to Magistrate Nicholas Palos who told the graduates, "I don't want to see you back here again!" In truth, the last two weeks haven't been all dismal. The Wall Street Journal published an op-ed that I wrote entitled "A Surprising Portrait of the Misdemeanor Criminal." (I didn't choose the title.) And Corrections Today ran a nice review of my book Reducing Crime, Reducing Incarceration.